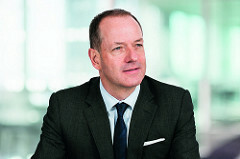 GlaxoSmithKline’s (GSK) former chief executive Andrew Witty was yesterday announced as the new CEO of Optum – a US payer organisation which includes pharmacy benefits manager OptumRx. Witty, who handed over to Emma Walmsley a year ago at GSK, had always been focused on prices, and had championed volume-based pricing deals over the more confrontational high pricing strategy used by most big pharma companies. Now he is joining what some in the pharma industry jokingly call ‘the dark side’ – the world of pricing, cost and reimbursement control of US health insurance. During his tenure at GSK, he had warned that the sector’s high prices were unsustainable, and that it needed to find a new model. Now Witty will be able to have that conversation from the other side of the table, taking over on 1 July at Optum, part of the UnitedHealthcare group, America’s biggest health insurer. Witty was already on the company’s board, but will now step down from this position to take up the Optum leadership role. “As I have now seen up close, Optum’s people, expansive capabilities, client focus and culture make it a unique platform from which to advance health care worldwide, so I am incredibly excited to be part of the team,” commented Witty. Witty had always marked himself out as sensitive to price concerns, while defending the industry’s record on innovation. In 2016 he told CNBC that GSK’s last six medicines were launched at, or below, the price of existing medicines – but also agreed that the wider industry pricing model had to change. “We have got to get like-minded people together from government, from industry, and start to really sort this out,” Witty told CNBC. However health insurers and PBMs are frequently identified as part of the US drugs pricing problem themselves – not least for their lack of transparency in agreeing discounts with pharma, and then frequently not passing these savings on to patients. Witty built up plenty of experience of negotiating with US payers. When GSK’s biggest seller Advair/Seretide was hit by a major formulary exclusion, the company was forced to discount the drug in order to have it reinstated. In a statement, UnitedHealth CEO David Wichmann praised Witty’s “record of fostering innovation and partnerships”, his leadership and his “deep experience with how data and analytics and new technologies can be used to improve patient outcomes, better serve consumers, lower costs and drive value across the system”. The new role as CEO of Optum in the US looks likely to occupy most of Witty’s time. This could be a disappointment for the life sciences sector in the UK, where he is to chair the Accelerated Access Collaborative, a new government-led initiative to speed up access to breakthrough technologies on the NHS. Witty’s talk about Optum working with healthcare systems worldwide is not idle, however, and the company already has a significant presence in the UK. 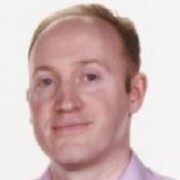 Its website says Optum already helps 156 NHS organisations to “modernise and deliver better patient care” and Witty may well use his UK knowledge and connections to further its links with the health service in his native country.